No, not exactly. But we can dream. Fast forward several months down the line and you’re planning the details of your reception. 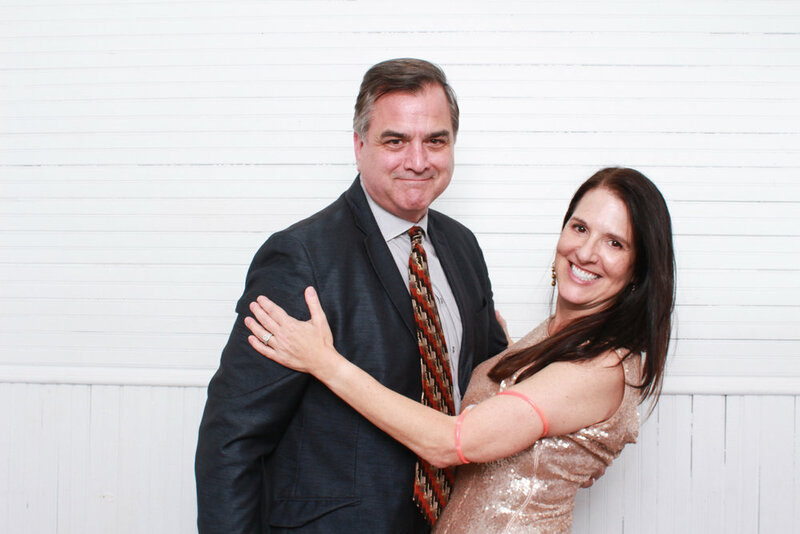 When you start thinking about what you want to have at your party, a photo booth seems like a no-brainer. 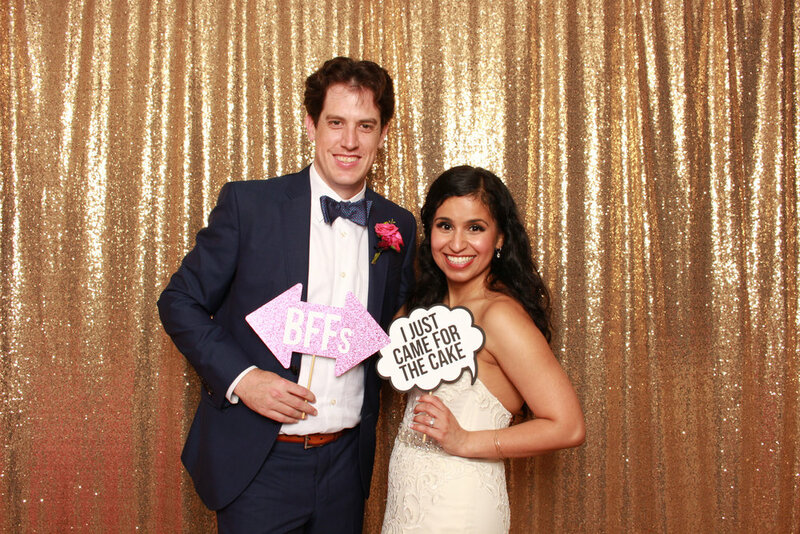 You saw how much fun guests had with the photo booth at your best friend’s wedding last fall, and you know it’s a must-have. However, you want to make sure having a photo booth adds value to your reception, not something that just takes up space in the back corner, and we’re here to help. 1. It’s the perfect wedding favor from your big day. 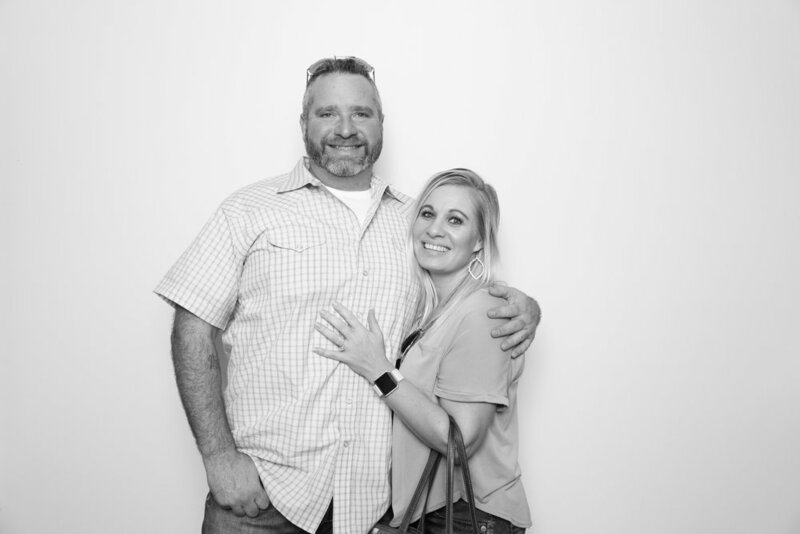 A photograph from a photo booth is truly a memory from your wedding, unlike a koozie or shot glass that will likely be left at the reception or end up in the junk drawer at home as soon after the big day is over. 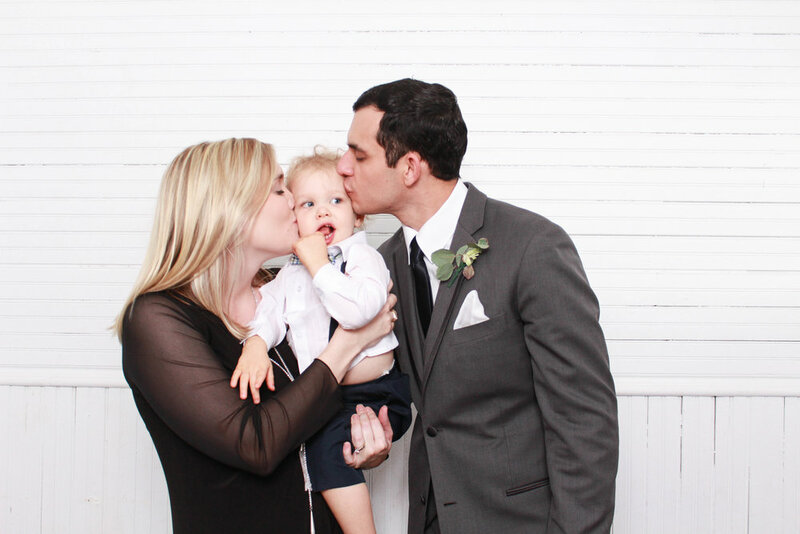 Photo booth prints are displayed on refrigerators, office desks, in a picture frame, or a background image of a phone. Your wedding reception is now on repeat for all of your guests as they look at the images from your photo booth every day. 2. It’s all-night entertainment for everyone. Although it may be hard to admit, not every person at your wedding will be dancing all night, no matter how many times you play Shape of You by Ed Sheeran. You may also have some guests that aren’t frequenting the bar either. A photo booth is entertainment for your guests without the pressure of needing to have wicked dance moves or liquid courage. 3. Your guests can be themselves. You know those formal photos with the wedding party and family that are taken right after the ceremony? It’s not always appropriate to have your guests or party show off their personality. That’s where a photo booth comes in. They can be goofy and make funny faces with no fear of judgment- because the sillier, the better. 4. A photo booth can glam up an otherwise boring corner of your reception. When you’re planning your reception you want to maximize your space. You’ve got your DJ or stage, tables, dance floor, food and bar, but there’s one corner in your reception hall that doesn’t satisfy your aesthetic. You secretly hope no one will notice the bare and boring corner, but wish you had something to glam up that part of the room. A photo booth with a charming backdrop in that corner will encourage your guests to have fun. 5. Your photographer loves us. You hired your photographer to focus on you for the day, and they won’t have time to take photos of Aunt Susie with every single one of her nieces and nephews. 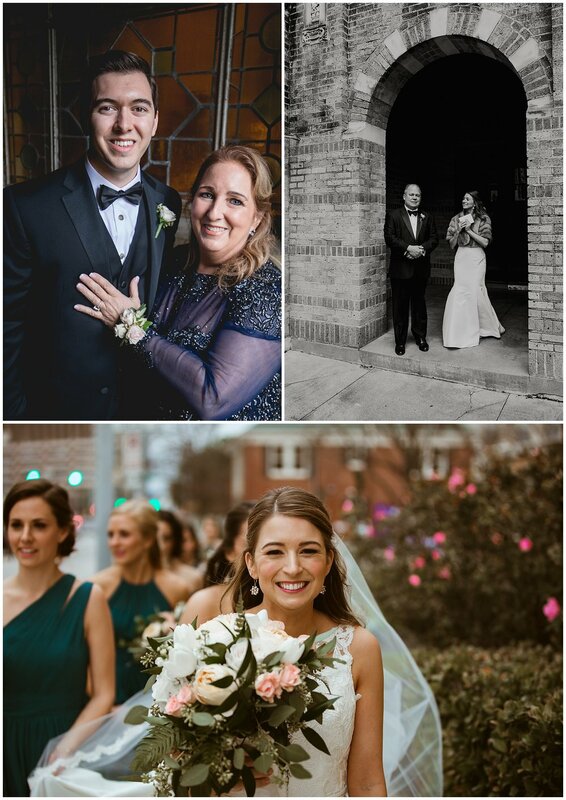 A photo booth will allow all your guests to take photos until they get one they enjoy and will share, all without distracting your photographer. 6. Your guests can share photos instantly. Long gone are the days where your guests have to wait for the photos of the big day to be uploaded, edited and then sent out several weeks later. We live in a world of instant gratification, so all our booths come equipped with digital sharing. 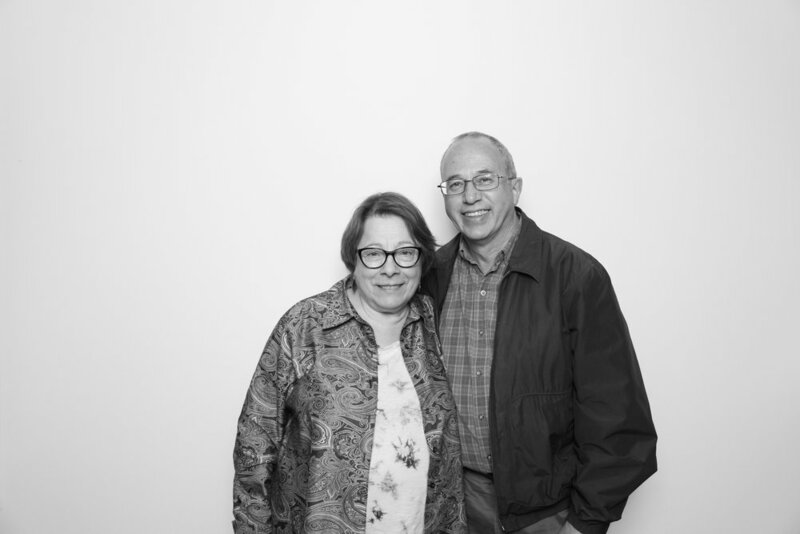 As soon as the photo is taken, they can share it through text or email so they can post on social media. There are several more reasons why a photo booth is a perfect addition, but we narrowed it down to our top six. 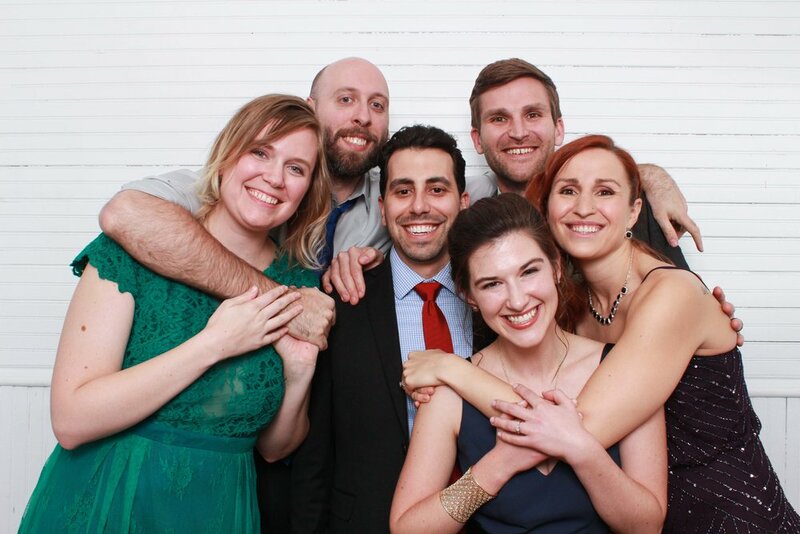 Want to learn more about a photo booth for your party? Email our sales team kati@ohhappydaybooth.com. 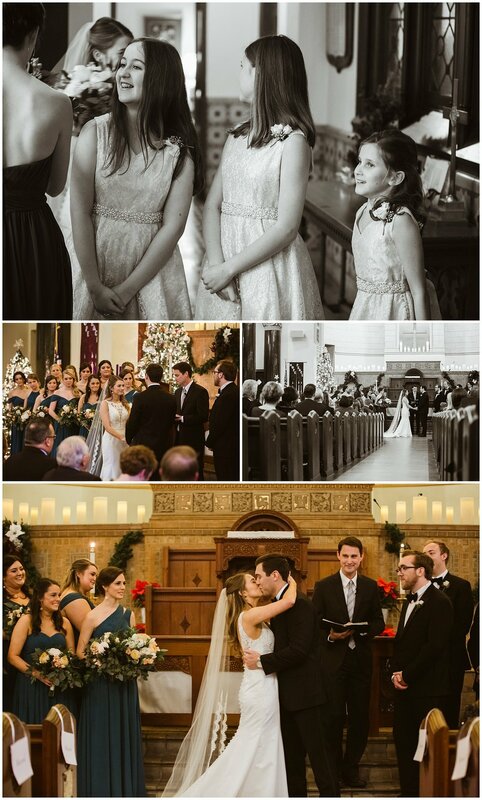 There was magic in the air for Katie and Jamie’s December wedding. The couple had their reception at the InterContinental Stephen F. Austin in downtown Austin. During the reception, they did a choreographed dance to Bruno Mars “24 Karat Magic” and had the guests engaged and entertained the entire time. As if the reception wasn’t sweet enough, their wedding cake was a cut to resemble our state’s flag. That’s what we call Texas pride, y’all. 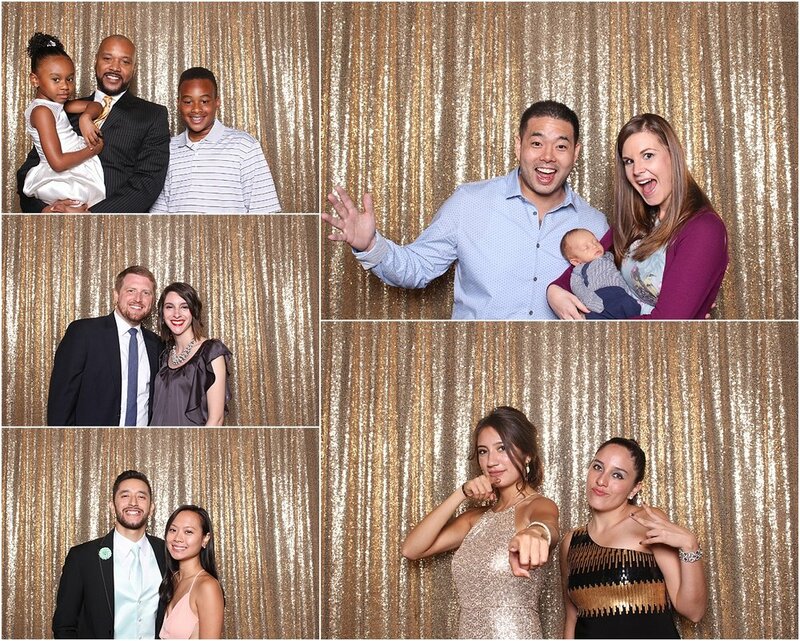 We kept it classy with our portrait booth paired and our gold sequin backdrop. 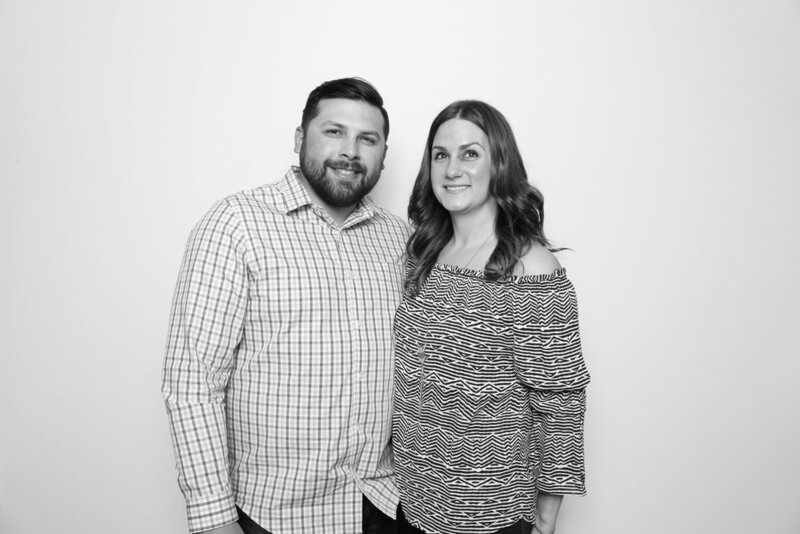 The couple loved the concept of an old school photo booth so we designed the print outs to resemble photo booth strips. 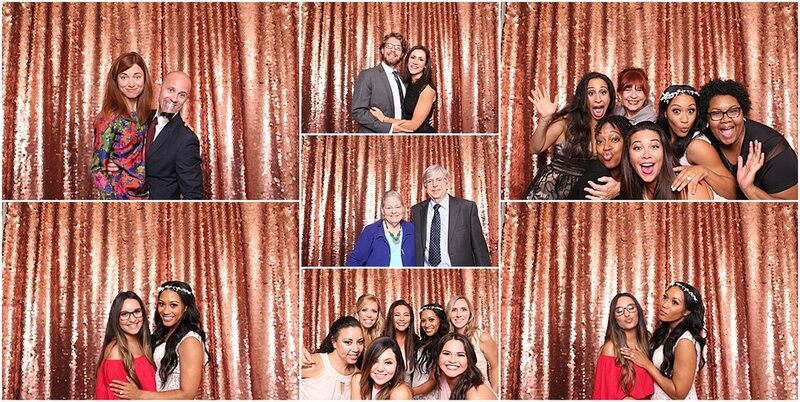 The photo booth was packed all night with friends and family documenting their fun. 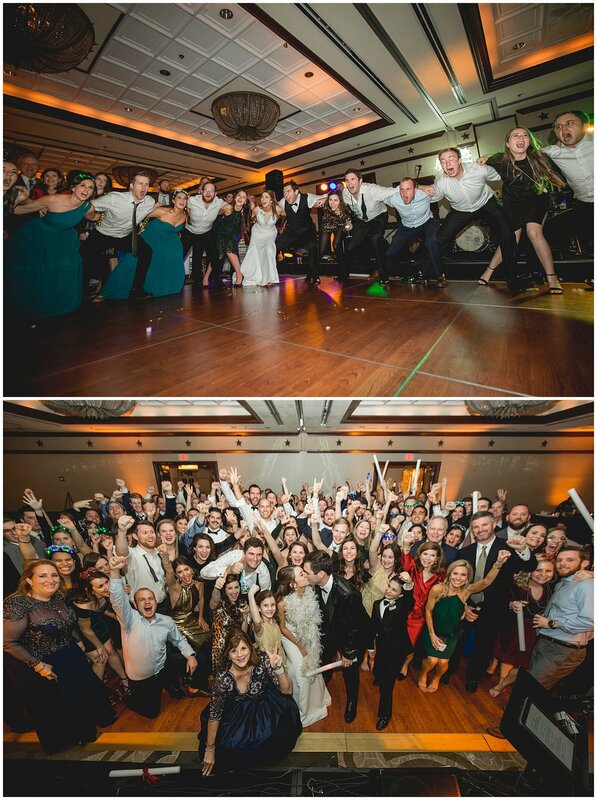 We wish this wedding were on repeat every weekend to relive the enjoyable night! Congratulations to Katie and Jamie on their big day and marriage! 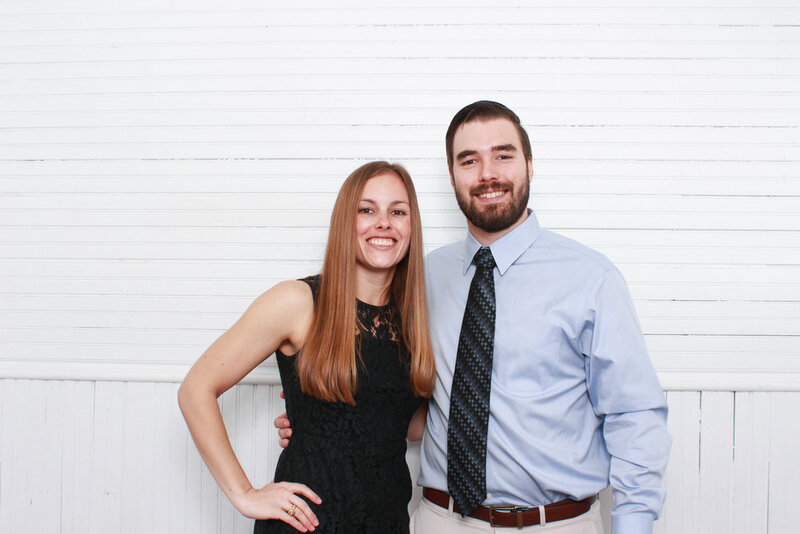 We met Deanna and Eric back at Sarah and Austin's wedding at Camp Lucy, and we were so excited when they reached out about booking the photo booth for their own wedding! 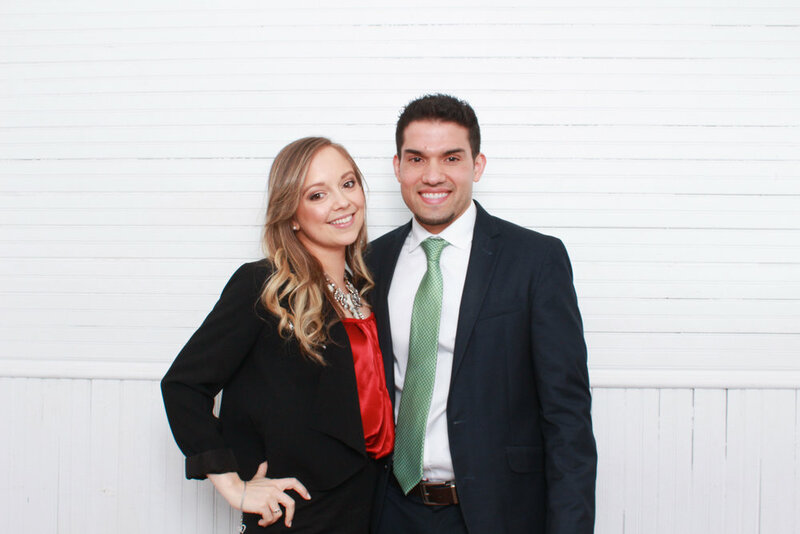 Of course, our rose gold backdrop only added to the fun, and matched their decor perfectly. 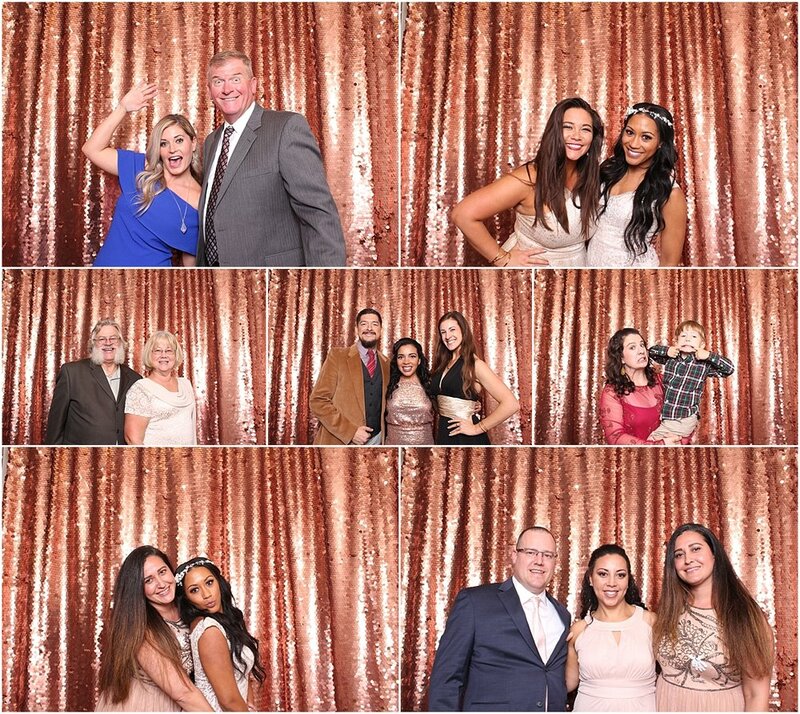 We had such a great time hanging out with all their family and friends and were so grateful they chose us to be their photo booth vendor for their big day.